The quality of FlexFit® you’ve come to expect with the high style of a driving cap. 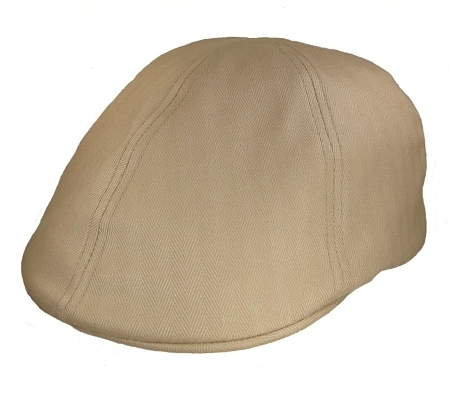 The Big 3XL Khaki FlexFit® Cap is light weight and perfect for all summer. Received the black driving cap as a birthday gift. Fit was so good; I decided to order the khaki version. Bought this hat for my "big domed" brother-in-law". Nearly impossible to find a driver hat to fit him. Great quality hat. The web site and ordering were excellent. Very nice hat. Nice lightweight material for spring/summer/fall. I like the interior black elastic band which should be easy to clean with a damp cloth too. I wear a Size 8 in a fitted baseball cap, and 8's can be snug at times if it's been a while since my last hair cut. The 3X cap fits perfectly. It doesn't look too small or too big/poofy. It doesn't put a mark across my forehead either. This has become my favorite hat now. Great fit with the elastic band, nice style and color. Love that I found a place to buy a cap or hat that actually fits my husband without having to custom make.